It's almost time to unleash Winston on an unsuspecting world. Take a look at the first chapter of my sequel to 'Waves Break on Unknown Shores'. Be prepared for some language and humorous vulgarity. Most of all be prepared for Winston. The full novel will be available in the New Year. We’re in Maggie’s cafe in the precinct, sitting by a window which looks out into the pedestrian area. It’s crammed with tourists, it being summer and the school holidays underway. The cafe is full and most of the customers have spent the last few minutes listening to Winston. I mean, you don’t have much choice. Winston is loud. It’s like he’s unaware of anyone else in the whole world, as if there’s just you and him. He doesn’t suffer from embarrassment. He never has. Not for the first time, I want him to shut up or lower his voice or maybe just go away. Yeah, go away would be really good. Only Winston has never learned to take a hint. You could drop a hint by clubbing him with a cricket bat, you could scream in his face. It’d make no difference. He’s always been the same. A nuclear warhead would bounce off Winston. He snorts with laughter and leans forward as if he’s going to whisper but then he doesn’t. A couple of older women leave their afternoon tea with a haughty look and head for the door but plenty more remain there over empty cups and plates. They’re listening and pretending not to and suddenly it’s like I’m on a stage and we’re improvising this scene and I’ve no idea what’s coming next or how it’s going to end and everyone is waiting for my contribution. Then I see Maggie over by the counter and I know exactly how it’s going to end and what I have to do. She’s formidable even when she’s smiling but she’s not smiling now. She’s dusting her heavyweight hands on a tea towel and flexing her muscles like she’s preparing for a fight. She isn’t even looking at the old guy who’s talking to her. Her eyes are trained on me and Winston. I look at my chest, expecting to see a little red light targeting me for destruction. It’s understandable, I guess. Winston isn’t her regular type of customer. This is more of your middle aged, middle class, genteel, tea and cakes sort of establishment, the sort of place my mum likes. Maggie doesn’t like tourists and she can’t abide anyone with children. She looks warily at anyone under fifty as if they’re about to spring a trap. She only smiles at them when they’re leaving and that’s more relief than anything else. Winston is in a category shared by drunks, dog owners and people who don’t pay. She looks at him as if he’s trodden both feet in something unpleasant with the sole intention of bringing it into her cafe. When she hears his latest outburst she’s had enough and now she’s rolling our way like a lumbering, doom laden cloud. He’s still trying to cram the last of his cream cake into his mouth as I push him through the door and into the stream of pedestrian traffic. Winston looks back with an enormous grin. ‘Is it a race thing?’ he calls. If she was holding a knife she’d throw it, I swear. I steer him round a couple of corners and only slow down when I’m sure no-one is looking at us. We’re walking slowly now and getting jostled by tourists in a hurry to get nowhere special. I direct him to a seat just vacated by a large woman with an even larger shopping bag. There are flowers in a circular bed just behind the bench, contained by a low, brick wall, part of the town centre improvements. I like flowers, especially brightly coloured flowers in a town centre. My boss, Liz, says they’re incongruous. She says it’s like sticking a candle in a turd. But I like them. My head is starting to spin at this point and I feel I’m in danger of following Winston’s stream of consciousness down a meandering lane towards a cliff edge. I think maybe I’ll keep to the important points. Winston hesitates as his fine-tuned, automated instinct for self preservation kicks in. ‘Maybe better you don’t know,’ he says. He relaxes and the big smile returns. You can’t offend Winston. God knows, I’ve tried. I used to think if I was offensive enough often enough he’d get the hint and leave me alone. He didn’t. That grin is starting to really irritate me. I think it’s time I took my leave. I stand up and head towards the promenade. I figure I’ll walk for a while and get Winston out of my system. Only I don’t get far before I hear him call after me. Everybody within a hundred yards hears him. I turn a corner but not my head and walk towards the fresher air of the Sefton sea front. The word follows me and I imagine heads turning and watching me all the way to the sea. When you receive independent reviews like these on Inkitt.com you want to share them with the world. Look! They say my novel really is good! These reviews are real - I don't know the people who wrote them - they're not family or friends - they're not written by sycophantic fellow indie writers looking for a sympathetic return review. You must want to read it now you've seen these reviews! I don't understand why you aren't reading it! Read what they say ffs! And so it goes on, for so many writers trying to raise their heads above the sea of vanity reviews in which they're drowning. Nothing amateurish about this read. Felt guilty for not having paid. I see that you have some more books available on Amazon and I'll certainly be adding them to my queue. I love how long you keep the reader guessing vis a vis the particulars of Stevie's death. When the reveal finally comes it is chilling to be sure. The dialogue was keen, the banter so snarky and razor-witted, it had me grinning like an idiot for most of the read. I could state the obvious, that the characters are so fully realized you feel like you've passed them on the street, but let's assume that goes without saying. The mechanics of the mystery itself were sophisticated, tortuous but never convoluted. The exposition towards the end could easily have felt tedious in the hands of a lesser writer, but you made it harrowing, like all the rest. Speaking of things most writers can't pull off well, Wayne's transformation by the end of the book is actually believable and well-earned. Meanwhile Brother Tyrone is the stuff of nightmares, but not, in my view, unsympathetic. Damaged goods in the most severe sense. It's very easy to imagine Wayne turning out the same if not for the support and influence of his friends. Well done." If you are looking for an expertly crafted mystery/thriller, pop some popcorn and read this novel from cover to cover on a rainy weekend afternoon. It will not disappoint. But do so soon before the major publishers and movie studios discover it!!" I’ve read a lot of indie fiction now. I can’t always complete a whole book but I try to give each one a fair shot – as I hope others do for me. I also try to give honest feedback. As a general rule, if I can’t give three stars I don’t review. I’ve also read a lot of reviews and there’s a truth about them which I think requires comment. 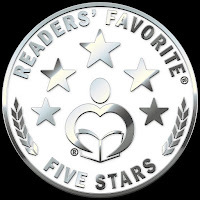 "A five star review won’t turn a bad book into a good one." No agent or publisher is going to be swayed by a glowing review when the first couple of chapters (sometimes the first page) are enough to demote the manuscript from the slush pile to the bin. I think most writers know this. Those reviews by loyal family members won’t get you published. Nor will the encouraging ones by fellow writers who don’t want to hurt your feelings because they know what it’s like. At best – if you get hundreds of the damned things – I suppose someone might notice and take a look. But if the book isn’t good, you’ll be noticed and then dismissed. The same, I’m afraid, has to be said of reviews purchased from any of the many on-line sites which provide them. A few readings soon reveals just how useless most of them are. All too often there’s a gap between the review and the reality of the novel as wide as the Grand Canyon and anyone can see it after a couple of chapters. Still, it’s always nice to read something nice about yourself and it’s pleasing when someone takes the trouble to read your manuscript. There’s a problem with these reviews, though, which is rather more serious. How can potential readers sift the genuinely independent, objective and hard earned reviews from sycophantic drivel? How do readers know when they read the self promotions on numerous Facebook Pages whether the book really is ‘a gripping read’ which ‘I couldn’t put down’ and ‘the best book I’ve read this year’ and a ‘must read’ or just 200 pages of well intentioned but essentially dull and poorly drafted material? which must be a bit irritating when your book really is quite good and deserves a read. I know I keep harping on about that one stark fact - 4000 books published every week, mostly indie. It follows that there are thousands of people out there just longing for someone to read and review their book. Let's be honest, even the very worst of those books have taken months to produce. They matter - to someone. There are also a lot of websites out there specifically for indie publishers to advertise their books and, purportedly, to find readers. Only, the only people accessing those sites have no real interest in READING books; they just want people to read theirs. A lot of market stalls and no customers. Not even footfall. Just thousands of virtual shelves full of merchandise gathering dust. I trawled through a dozen of them the other day, just checking posts. I wanted to see how many had received 'likes' or 'comments'. The simple truth is that very few had received even one 'like' and comments were as rare as dragons' eggs. I couldn't help thinking about all those wasted hours. But then nobody would've read it. "This book epitomizes why I enjoy reading thrillers so much. The development of the characters, individually and collectively, and their relationship to one another is brilliantly written. I find the author's writing style intriguing and mesmerizing. While reading this, I was always hungry for more, and couldn't stop myself reading. I was hooked from the off, and was kept guessing throughout. I would definitely recommend this to anybody who's a fan of thriller or mystery stories." I read somewhere that there are 4000 books published every week - more in one week than in the whole of the Seventeenth Century. In some ways this is wonderful. Anyone who can wave a couple of fingers at a keyboard and has a story to tell can churn out a book in no time. I've no problem with that. I think it's great. The problem, of course, is that the Internet is full of sites where authors of vastly differing levels of ability advertise their wares and - let's be honest - a lot of their wares aren't very good. And a lot of wares - good and bad - are never read or reviewed by anyone. They just lie there, dormant, gathering cyber dust. I've tried reviewing books on these sites, often selfishly and vainly in the hope of a reciprocal read, and it's a rare occasion that I progress beyond three or four chapters. It's also rare that anyone reciprocates. It's like looking for a diamond in the sand on Blackpool Beach. All of which raises a problem. How does a half decent book raise its head above the parapet? How does a novel with some promise stand out in a crowd of novels all jumping up and down and demanding attention? Not by standing still, that's for sure. Even independent reviews don't help when everyone has a favourite aunt who's willing to support a novel by proclaiming its qualities from the rooftops - even when it hasn't any. How does a reader know that one review is hard earned and independent whilst another is just a cosy cuddle from an affectionate relative? Try a few pages. See for yourself. PLEASE! 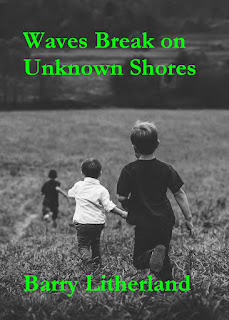 The reviews and comments on my literary crime novel, "Waves Break on Unknown Shores" are starting to come in. Got to be pleased. FREE on Inkitt.com Now I just need readers. 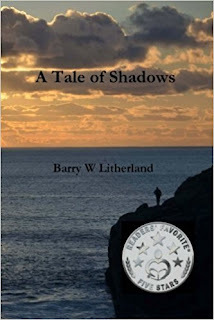 From TODAY - 31st January "A Tale of Shadows" will be available for free download on Kindle.